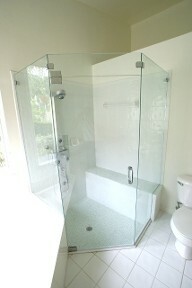 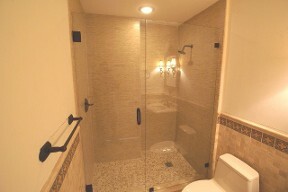 Frameless enclosures are the top of the line, due to the many advantage that brings to your bathroom. 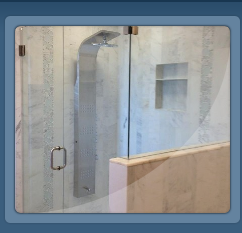 They are design to outlast any other units, because the heavy-duty hardware and thick glass (3/8”) or (½”) used to build them, the cleaning process is way easier, and their appearance breath taking. 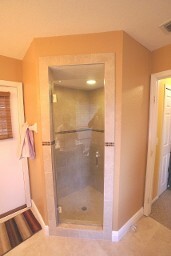 Here are afew examples. 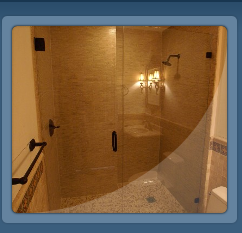 The shower has four or three walls and a single door to exit. 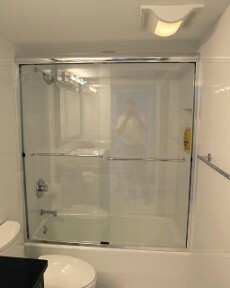 There is a fix panel and a door in straight line, this is the most common unit found, in most cases doors can open in or out. 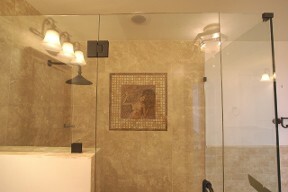 This design is named after one of the shower angles is 90 degree or “L” shape. 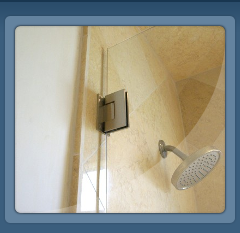 This shower will have one or more 135-degree angle in its shape.